I can hardly believe it’s just a FEW days until Christmas! If you’re like me, you’ve still got a little shopping to do. These pens are SO cool. My kids have loved colouring with them. The best part about these markers is that you can twist them and the two colours in the marker blend together. We received the Jumbo set. This set comes with a cool Blendy Pen Airbrush attachment. Simply attach the attachment to the pen to create an airbrush drawing. 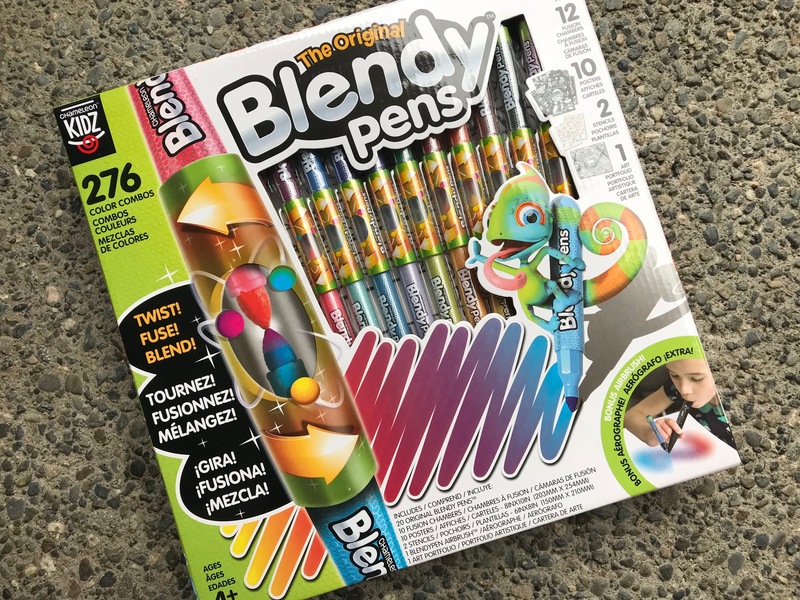 Where to BUY: You can buy Blendy Pens in stores and on Amazon.ca. 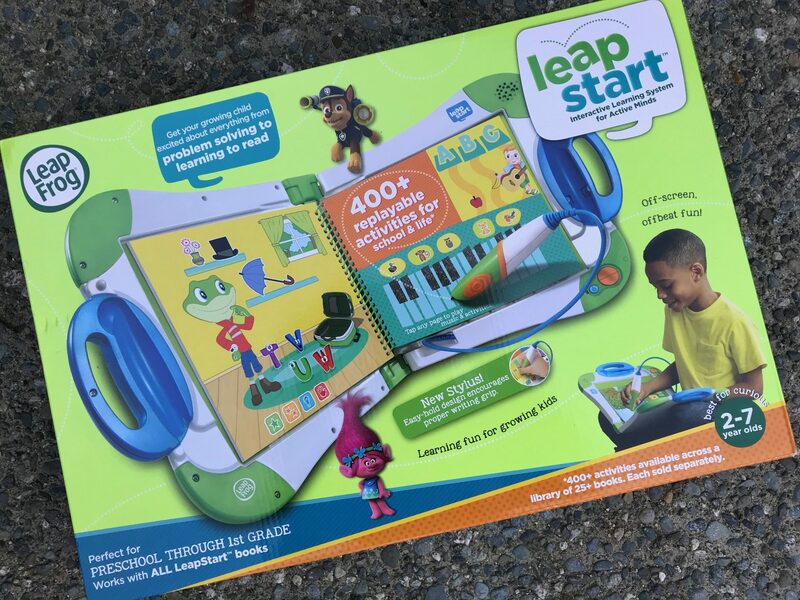 The LeapStart is a great gift for kids aged 2-7 years old. This interactive learning system grows with your child. The starter pack comes with one 12-page sampler book. Kids use the stylus in the LeapStart to answer questions and complete interactive worksheets and games. A huge library of books exists for the LeapStart. It includes over 400 activities that teach 50+ key skills to get your child ready for school. Where to BUY: The LeapStart is available in stores now and on Amazon.ca. 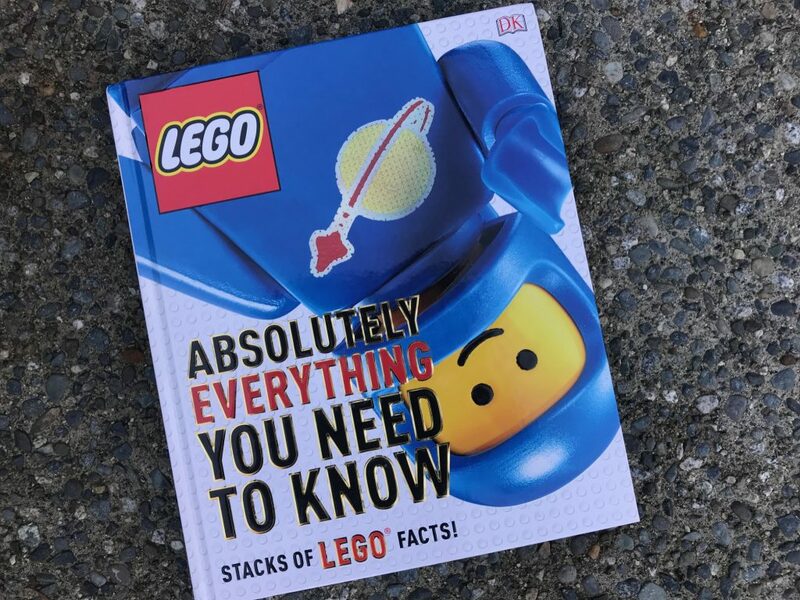 3 > DK Book: Absolutely Everything You Need to Know Stack of LEGO Facts! DK always has the most amazing books for curious kids. I always love giving non-fiction books and DK is always the brand I turn to for this. This Christmas, pick up the Absolutely Everything You Need to Know: Stack of LEGO Facts for LEGO fans. This hardcover shares information on all things LEGO. Contents include Bricks and Pieces, Building Worlds, Cars, Planes, Ships and Trains, Minifigures, Monsters and More and Beyond the Brick. I know my son will love to learn more about his favourite building blocks with this book. The photographs in this book are detailed and the timelines add a nice touch. Where to BUY: I’ve seen this book at Costco and other bookstores. You can also buy it on Amazon.ca for only $19.40 CAD. StickBot toys are all the rage this holiday season. 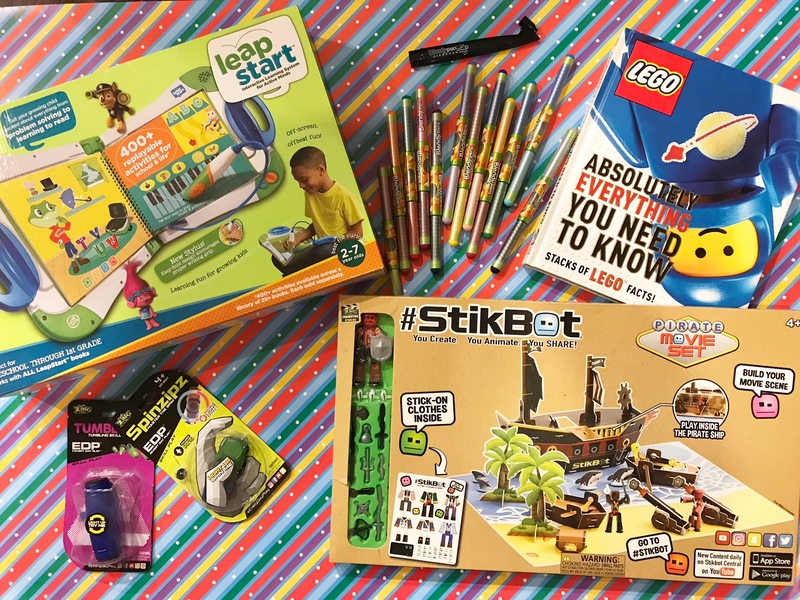 Kids love them because with StickBot sets and a free App kids can create stop-motion animation. StickBot sets come with one StickBot character, 11 accessories, 4 hand clips and 1 sheet of stick on clothes. Kids build the movie set and then use their imagination to act out scenes with their StickBot character. There are many movie sets to collect and extra accessories available for purchase as well. Where to BUY: StickBot sets are available at Costco, Walmart and are available on Amazon.ca. 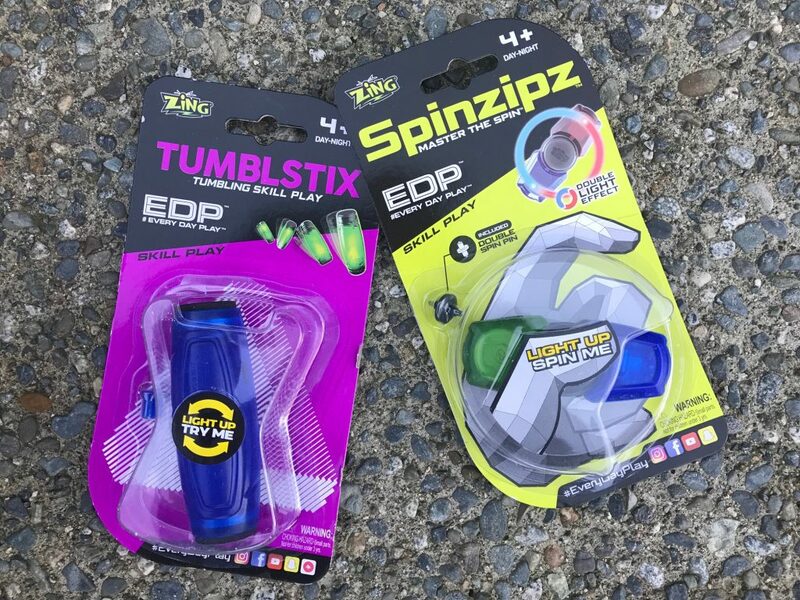 Spinzipz and TumblStix are the ultimate fidget toys! These two fidgets make great stocking stuffers! The Spinzipz lights up when you spin it. It even has the option of connecting to a second Spinzipz for extra fun. The TumblStix challenges you to tumble the toy and to balance it. It also lights up. Where to BUY: You’ll find these Zing fidgets in stores now. The TumblStix is available on Amazon.ca now. I’d love to know, which of the above products do you think your child would like the most this holiday season? Disclosure: This is a sponsored post. All thoughts and opinions are always my own. This post contains affiliate links. StickBot Pirate Movie Set for my little grandson. 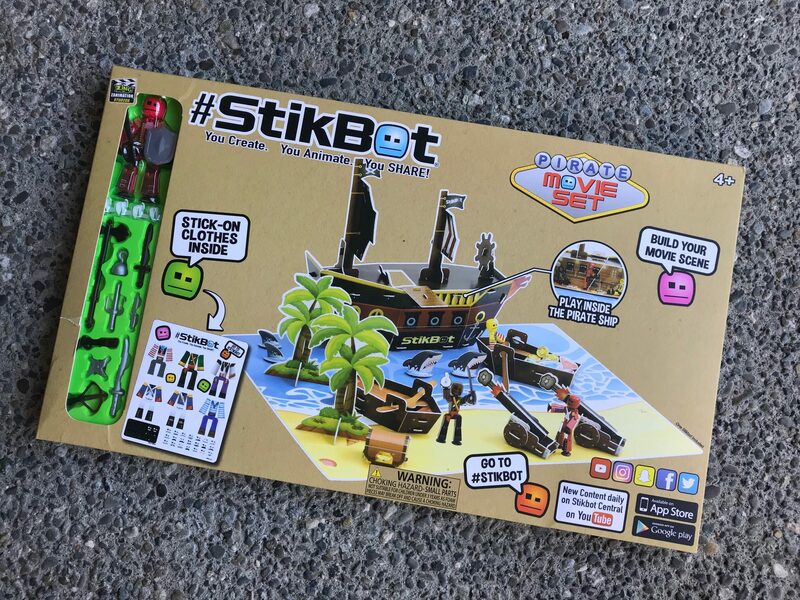 The stickbot pirate movie set looks great. My cousin would love that. Every time I see the StikBots in the store I’m drawn to them! I love how unique they are! Gifts I know many children will like to have. Lego books are always a big hit in our house. I think those blendy pens would be fun too! The StickBot Pirate Movie Set looks like a real winner! I would love to get that Leap Start for my granddaughter, she is so techy but this would help her out to get ready for school!